Shopping is a necessity in life and something we all do, whether we want to or not. Some of us love to shop, whereas others would much rather spend their time on other things. Whichever way you feel about shopping, you still want to buy great products without having the sky-high prices. If you’re reading this blog, you’re ready to take the first steps in making better and cheaper shopping purchases. 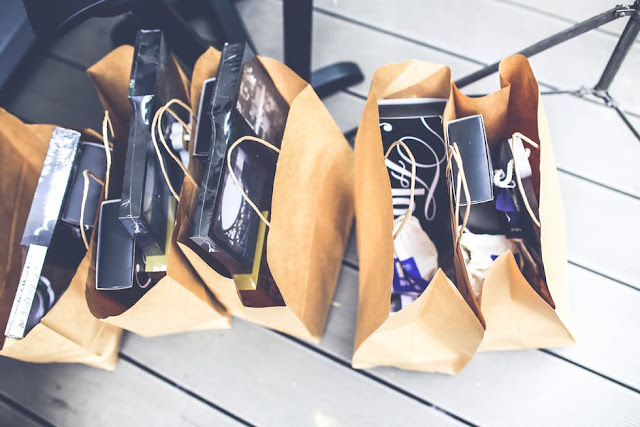 Whether it’s shopping for the latest fashion on the high street or buying a new electrical gadget online, you need to know these awesome hacks right now. Let’s admit it, we all love stuff when it’s free! It always gives us a thrill when we can get a cheeky something without having to splash out on the cash. Free stuff is everywhere, you just need to know where to look. The internet is littered with freebie websites which do all the work for you and find the best free stuff from your favourite brands. Sales are happening all the time. Depending on what type it is, you can get fantastic bargains. Shops may have clearance sales if they’re closing down and will advertise this on their website. However, there are times when we buy something for a fantastic deal, just to see it break a few days later. Know your consumer rights and don’t feel bad about returning a faulty item. Just because you’re frugal with your money doesn’t mean you can’t live in luxury. You can still buy from designer and high brands for cheaper costs. There are lots of discount sites on the internet in which you can sign up to and receive regular updates on awesome deals, for example, Tarte discount code on DontPayFull. Next time you’re craving a delicious meal from your favourite restaurant, check on the company’s website for any promotions currently going or have a look at their app. If you see deals such as 2-for-1 or 3-for-the-price-of-2, get them if it’s something you always need. Of course, don’t go buying every bulk deal you see, be practical and only get what you would use in the future. Another important tip is always to watch your products going through at the checkout. Sometimes, certain deals don’t go through properly, meaning you’ve missed out on the deal you wanted. Tell a member of staff about this so they can fix it! Many people tend to be quite impulsive when they go shopping and may buy something without comparing the prices of the same product elsewhere. Typically, this is easier to do with online shopping. Price matching is also a key rule to shopping and an essential way to save money. Some stores advertise the fact that they price match, meaning if you find the same product at another retailer for a lower price you should challenge them. There’s no harm in doing this and gets you a better deal!